If there's one piece of jewelry you should invest in this fall, it's the statement earring. 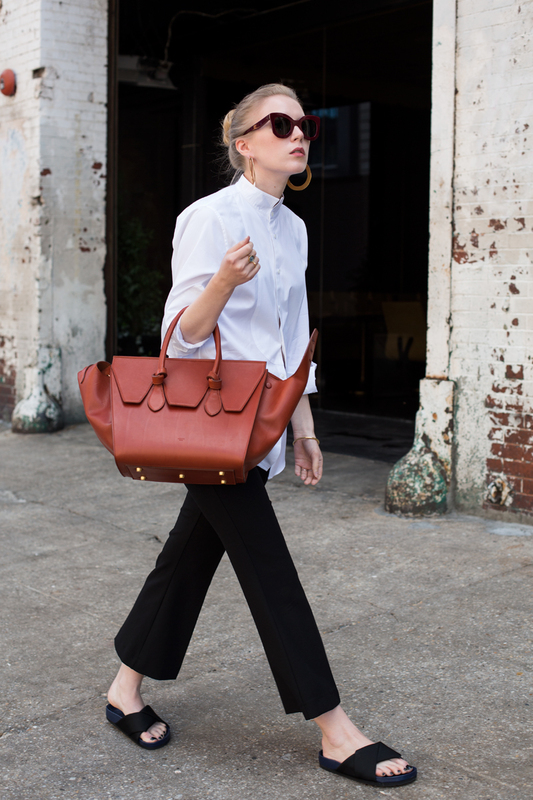 I'm wearing a pair of oversized hoops from Céline above, perfect for adding an edge to a simple outfit! EARRINGS Céline (similar here). SUNGLASSES Céline "Marta" (similar here). SHIRT (old one stolen from Mattias, but similar here). BAG Céline. CROPPED KICK FLAREPANTS Weekday (old, but similar here). SLIDES Céline (affordable option here).